Tallassee TV: SES Pilot show.  Tallassee TV is Growing. We are in the process of adding new LIVE evening programs. Thursday, we will air the pilot of a new show called SCS. SCS is short for Southeastern Crypto Society. The show will be produced LIVE, with a call in phone line, and live moderated chat. SCS is produced here in Alabama. I have watched several pre-recorded SCS shows. These shows are great fun. 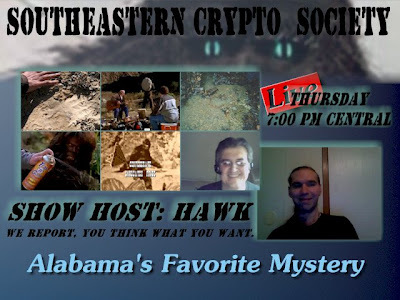 Hawk mixes serious cryptozoology research, debunking bigfoot sightings and a lighthearted, at times, comical look at the sasquatch legends. Join us in welcoming Hawk, Froggy, Karen, Jeff, Bryan, and Jacob and at SCS on Thursday at 7:00 pm. okay Hawk.... first of all thanks for not forgetting about me... Now tell me like you are telling a three year old child how I can get this show. I am in Columbia SC now and have motorola service for my high speed. I do not know if cable would carry it. I would love to see it. How is your family? I guess your daughter is all grown by now. Time flies. Tell your wife hello and cannot wait to see the movie. It's easy. You are on the page where the show bill be live at 7:00pm central tonight (thursday). Instead of whatever is in the video at the top of this pageright now, you will see the SCS show. I plan to also have the show in replay on another night, to be announced. If you miss both showings, then click the "ON-DEMAND" button at the bottom of the player. I'll have it set up so the last two shows can be played on demand. I'm looking forward to watching the first show with you. Bob, Producer of Tallassee Times TV. We just finished the pilot show. WOW! It went prety good. Jeff experienced some technical problems geting the video to stay up from him, But Hawk handled it like a pro. He was prepaired with a backup audio stream via cell phone. We had a little problem with a couple rouge (rude) callers. but we got their phone numbers and they will be blocked. We had 22 viewers at one time. Chat was active (there are three different chat rooms going, and as yet we have no way to combine them). The Chat and call ins kept Hawk real busy as he was reading them to the listners and answering their questions. We proved we could carry the SCS show on SCS_TV and TallasseeTV.com at the same time. I'll create a few more graphics, work up some more promos, and some other refinements. The show will premire next Thursday night and will run for (at least) 6 weeks. Bob - Tallassee Times TV producer.